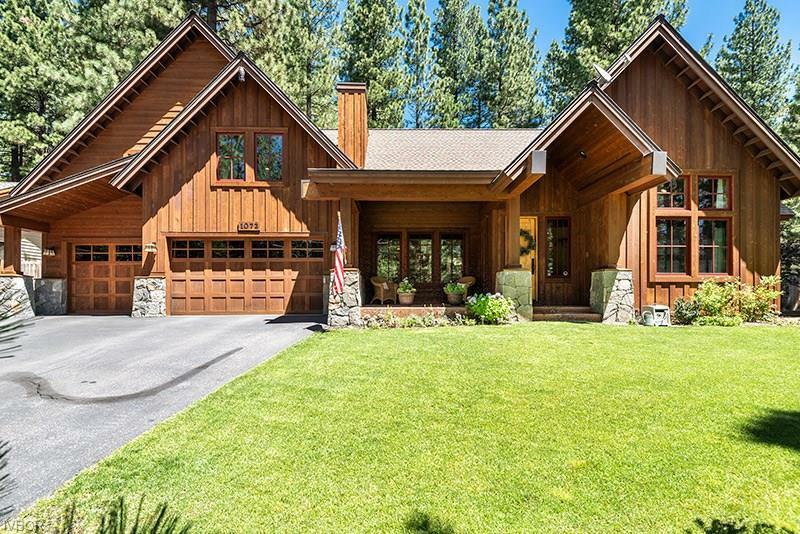 Beautiful Fortress Construction Classic Tahoe lodge style home. 4 bedrooms 3.5 baths, over sized 3 car garage. Master bedroom, 2 guest bedrooms, living room, dining, kitchen and laundry on main level. Upstairs family/rec room and guest suite. Knotty Alder cabinetry/trim, slab granite counters, hardwood/stone flooring and granite fireplace. Beautifully landscaped fenced backyard perfect for entertaining!